A brilliant combination. 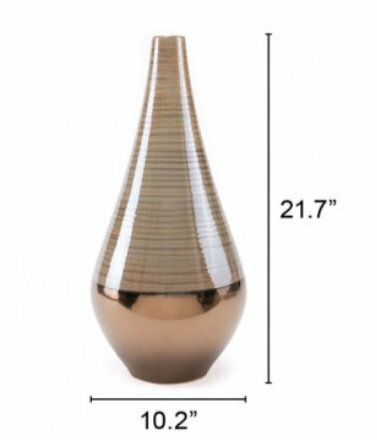 Lustrous modern metallic is combined with an organic stripe pattern to create this gorgeous vase. Stunning in any type of decor, it's perfect on an accent table or bookshelf.